O Rhinebeck. Another good one, in the bag. 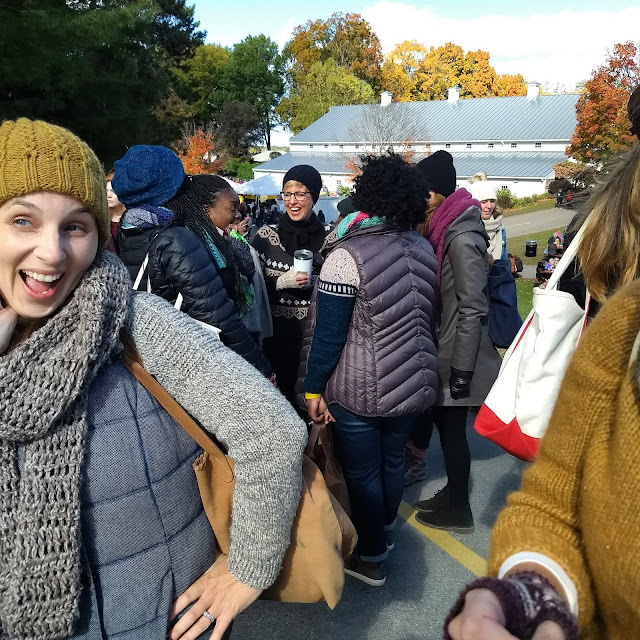 Okay, I know there might be more than a few of you out there who just could not care less about hearing any more about Rhinebeck and I totally get it. For years, I thought, big deal, there’s yarn for sale right in the store. That’s true, there is. And if you’re not a knitter or a crocheter, then I’m sure you wish we would all just shut up about it already. I hear you, and I understand. 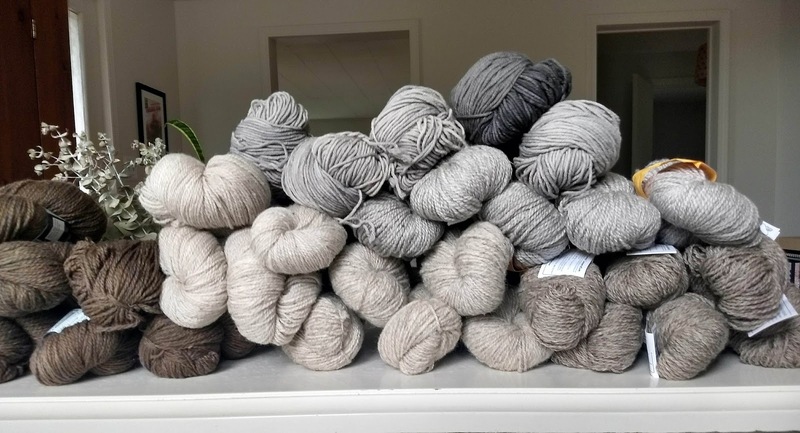 Also, not for nothing, there are a LOT of yarn and fiber festivals out there in this world and your own local fair is chock full of wooly goodness, too, and I hope to get to all of them someday. 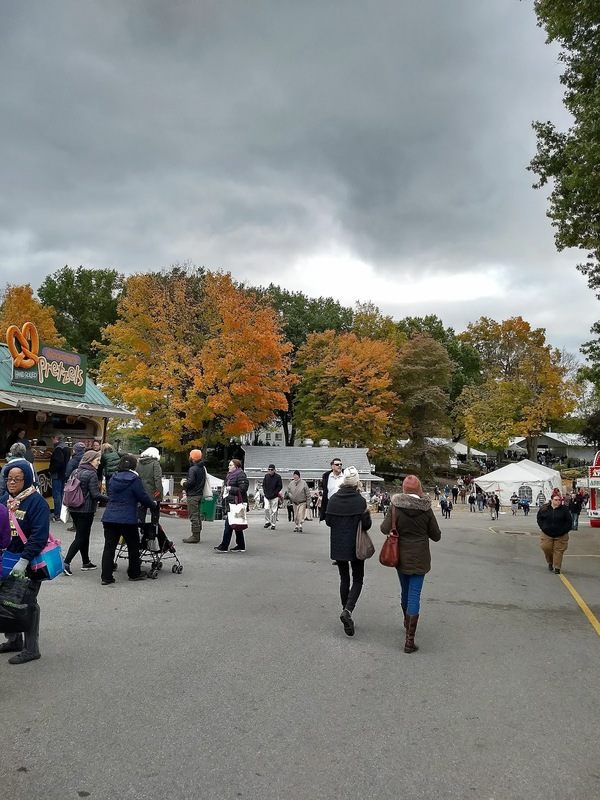 And honestly, if Rhinebeck weren’t within an arm’s reach for me, I doubt I would brave the crowds and the weather, but it is, so I did. And it was wondrous good. Let me tell you about it. In the event that I persuade you to make the trip next year, the first piece of advice I have about this festival—and I almost hesitate to spread this around—is this: unless you love frustration and standing around in a solid mass of desperate and hungry humanity, don’t go on Saturday. Don’t even. Sit tight. Sunday is better, and you can move around and see stuff and there is still plenty of yarn and fiber to go around. 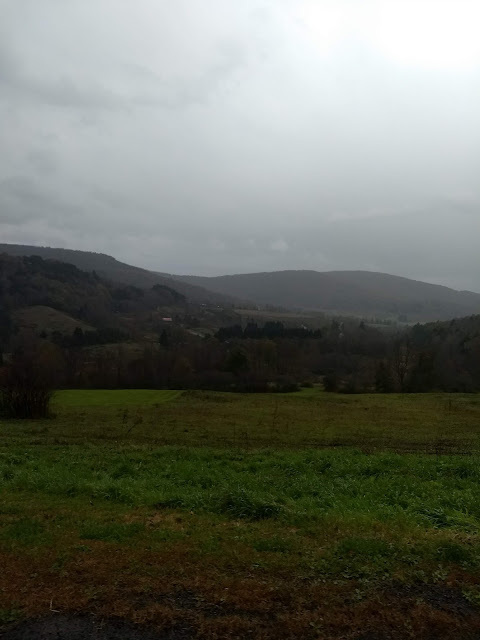 Leave home Saturday morning, get to within an hour of the fairgrounds, tuck into your adorable Airbnb somewhere in the woodsy gorgeous Catskills and walk into town for a bowl of noodles. Visit Jill Draper’s Open Studio and buy a whole huge bagful of goodies, oops. Meet some knitterati, schmooze with your tribe. Drink wine, talk wool. Meander back into the woods over the dark windy roads, admiring the top-notch Halloween decorations along the way, and knit peacefully in your room until you get drowsy. On Sunday morning, get up at a leisurely hour, wander next door for a coffee. Savor your breakfast, then put on your Rhinebeck Sweater and drive to the fairgrounds, where the early morning stampede is already over and you can just calmly park and walk in. The second piece of advice I have is this: accept that the line for the apple cider donuts will be long. Accept that you will have to stand there a long time. It’s going to be a wait. The people in the donut shack are not in any kind of hurry whatsoever, and frankly, waiting in the donut line is where you will meet people, talk about what you’re wearing, what you’re knitting, famous people that have been spotted (I’m still keeping my eyes peeled for Johnny Depp—one of these years, I know it...). The camaraderie in the donut line is really the whole point of Rhinebeck. You’ll be standing there with them for an hour; these are your new friends. It’s worth it, too, the donuts are hot and coated with sugar and are meltingly good. There. That’s my haul. 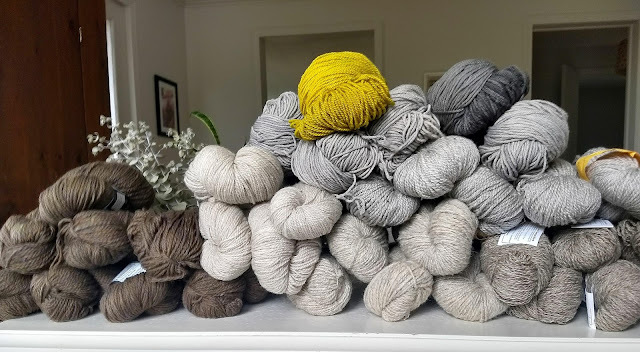 A lot of sheep-colored, wooly-wool sweaters are coming up next, and it is taking all my nerve not to cast on five new things today. Dark weather is coming, and when that happens, you’ll find me beside the fireplace, Catdog at my feet, hyggeing hard with all this gorgeous wool. I can hardly wait. My yarn stash is frankly burgeoning with beautiful things. Inspiration is all over the place, and I make lists in my phone and on little loose pieces of paper that get lost of all the things I want to make and do. 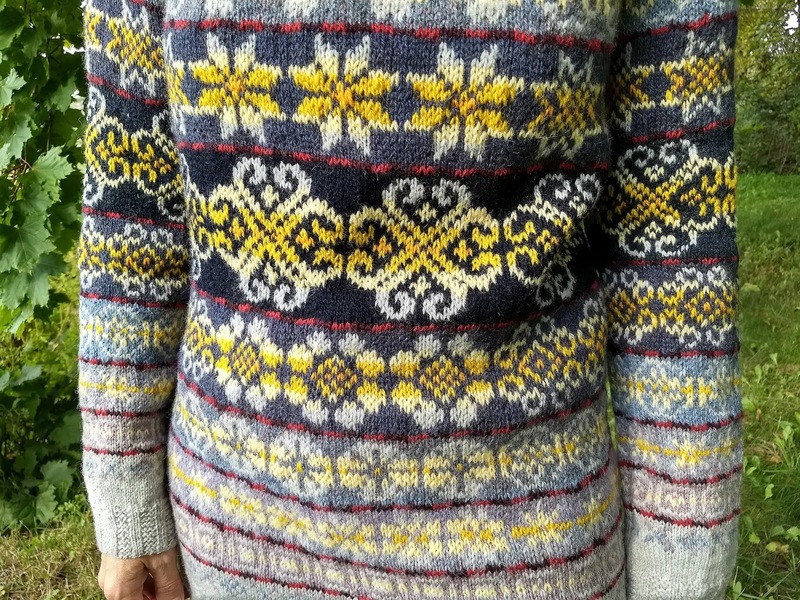 I feel like I’m planning the next ten knit sweaters and trying to make room in my life for another quilt or two because I just love them, and I love to make them. And you and I both know I have enough yarn and fabric for all these things and more. Well, ‘tis the season, isn’t it? That first gloomy day, when rain splatters the clean windows and leaves are just starting to burnish, I get to wanting another big, cozy cardigan. I have a few of these already, but it doesn’t take much to get those wheels turning again, every single September. 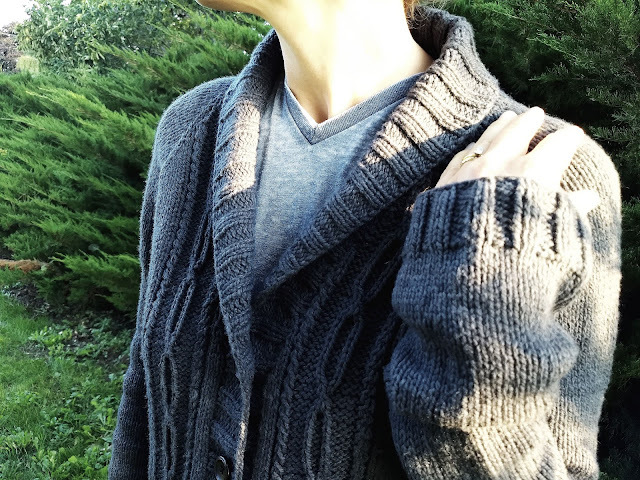 This year, I had before me five skeins of Barrett Wool Co’s beautiful Wisconsin Woolen Spun worsted weight yarn in the colorway “Pebble” and it was sort of begging to be my Annual Big Cozy Cardigan. I did my usual Ravelry dive, and of course found a whole bunch of patterns I want to knit right now, but nothing that seemed just right for the Wisconsin Woolen Spun, which is very plump and round (I think that’s fairly unusual in a woolen-spun) and thick and lofty. I can’t think of another yarn offhand that is like it—maybe Brooklyn Tweed Quarry? That one might be similar. Well, it is light, but thick, and almost cottony soft. I did what I always do when I can’t find the right pattern—I made up my own. I’ve talked about this before, many times, and I know it sounds like I’m downplaying it when I say it’s easy, but honestly. It really is easy. 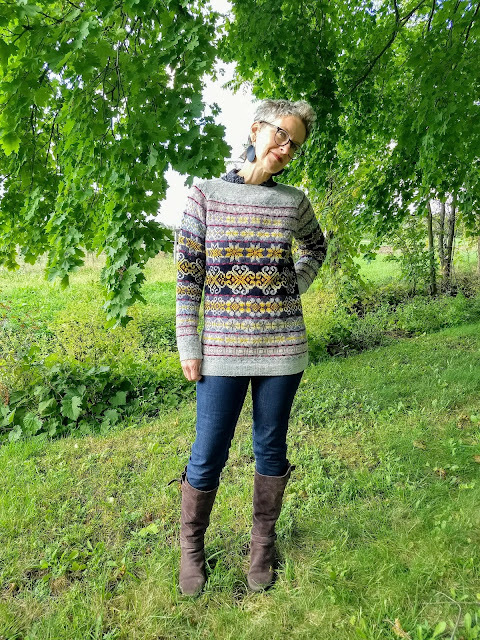 If you can knit a sweater from another designer’s pattern, then you can make your own pattern. If you know how to use a measuring tape and a calculator, you can make your own pattern. There is no magic trick, I promise. I start with a sketch of what I’m imagining. 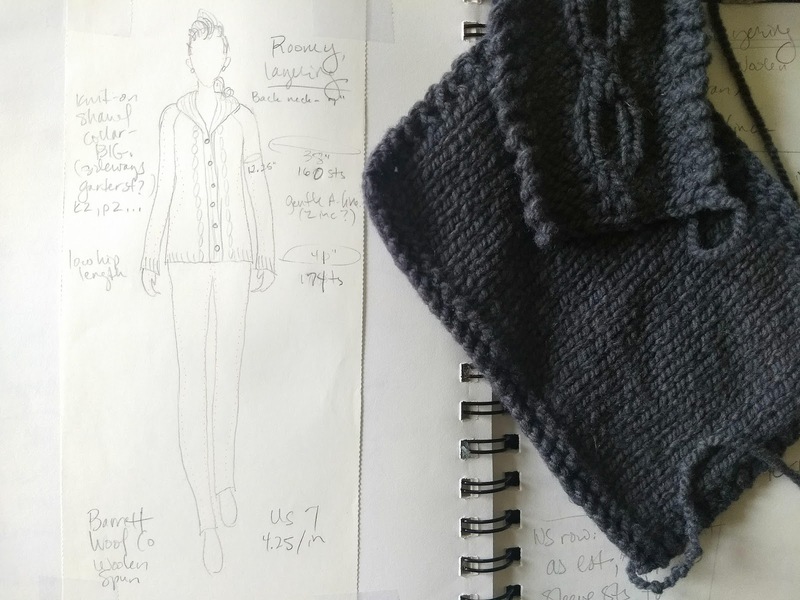 There are no revolutionary ideas at work here, just a shawl collar and a couple panels of cables; I’m not trying to invent anything, I just want a sweater. Then I knit a square, and I block it. When it’s dry, I ask myself: Do I like the fabric? If the whole sweater from my sketch was like this, would I be happy? When I’m satisfied with the fabric I got, I get out a ruler and measure: how many stitches per inch am I getting with these needles and this yarn? Once I have that number, I decide how wide I want my neckline to be at the back and then I measure myself at the back neck. 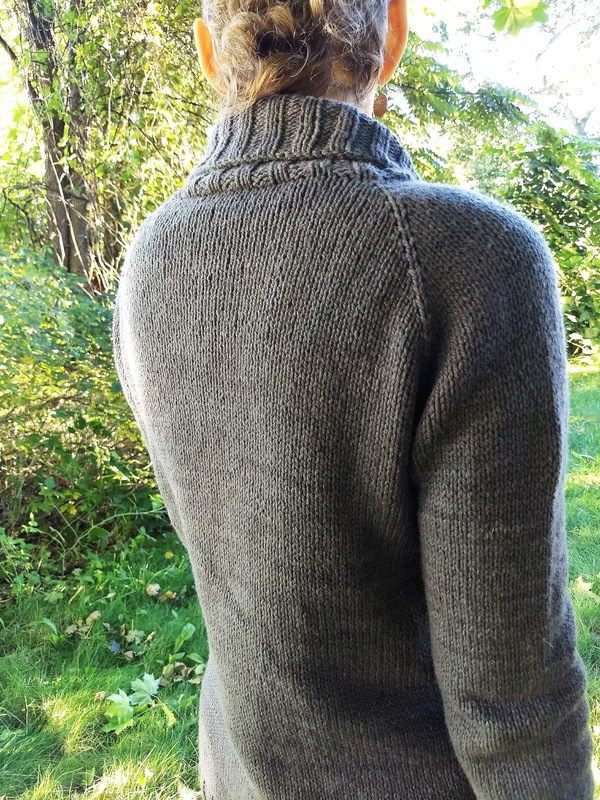 Like, as in, hold the measuring tape across the back of my neck, where I’d like the back neck of my sweater to be. Sometimes I point to either side of the back of my neck and Doc measures between my fingers. I do some (very simple!) arithmetic and then just start. In this case, I also made a swatch of the cable panel I planned to use, and then charted out the whole front yoke sections on graph paper, so I could keep track of the cables and the neck increases at the same time. None of this is difficult, and I firmly believe you can all do it too. What can go wrong? You might have to rip back now and then, and re-knit stuff, or start something over—I have to do that all the time. But this is fun, right? Knitting is what we do for fun. 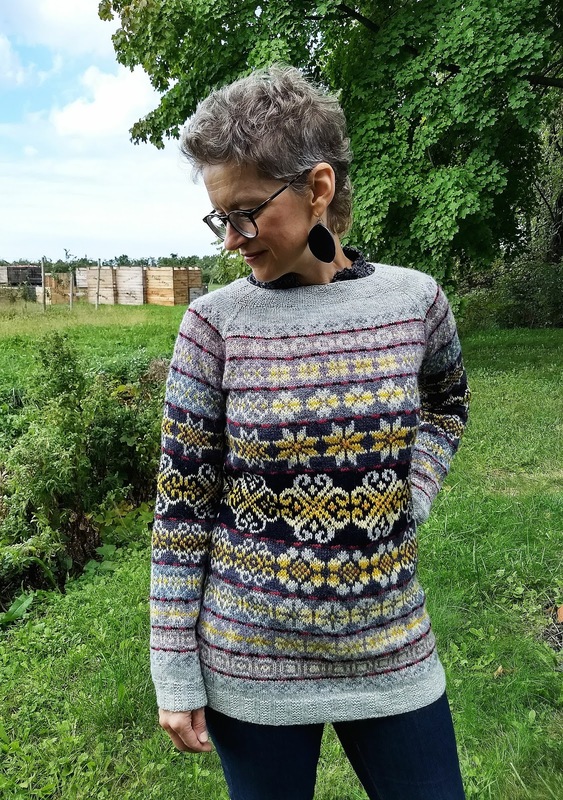 I have been calling this sweater Great Lake State—yarn from Wisconsin, knit in New York by a girl from Michigan, in the exact color of these moody inland seas, turbulent and alive in the fall. Blue-gray-blue. Gray. Blue. The collar is tall and snuggly, and the sleeves are extra-long, because that’s the way I like them. A few cables for added Grandpa-ness. 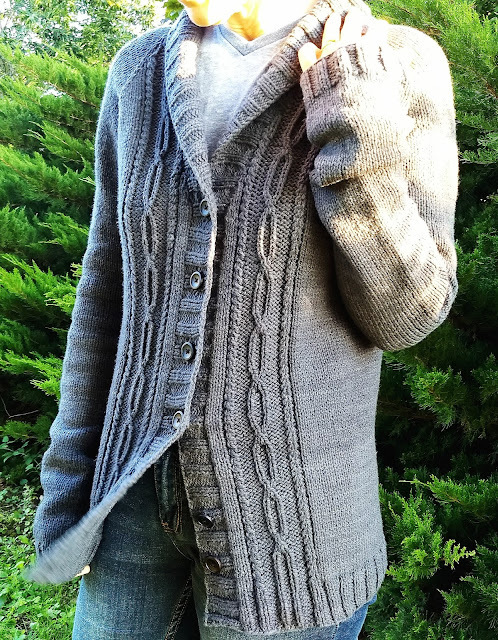 While it was blocking, I noticed I had misplaced one of the buttonholes, but when I checked myself for perfectionist tendencies and found none there, I knew it was fine with me to leave it alone. This is my sweater, for layering when the gale winds start to blow and the blizzards come early and stay late. This is my armor.